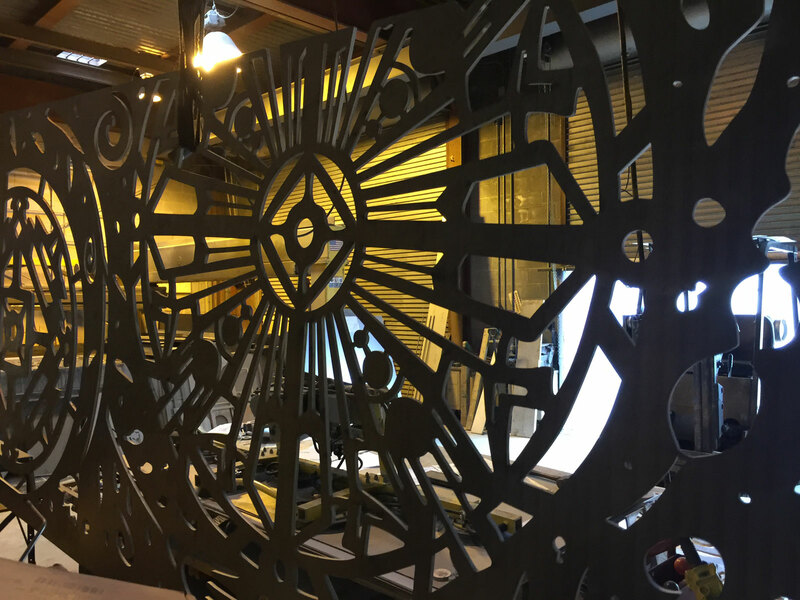 Walker West - Website of tomnussbaum! 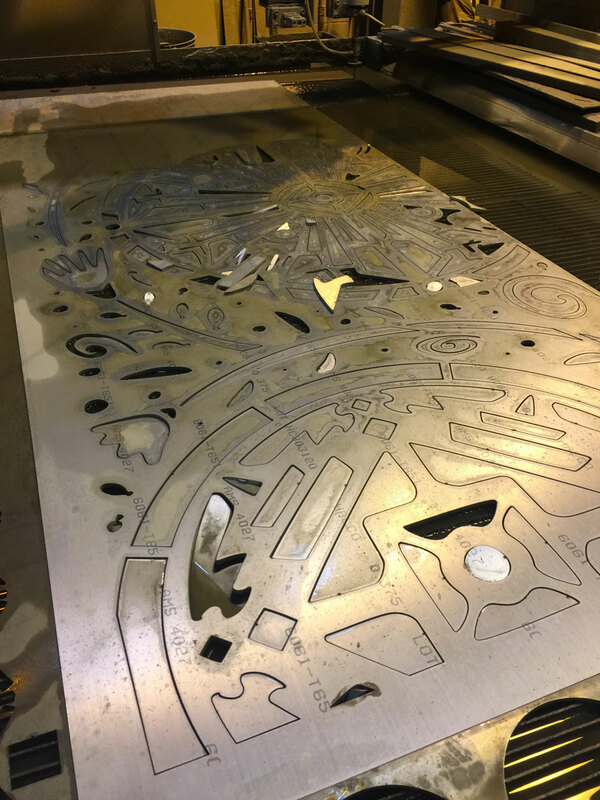 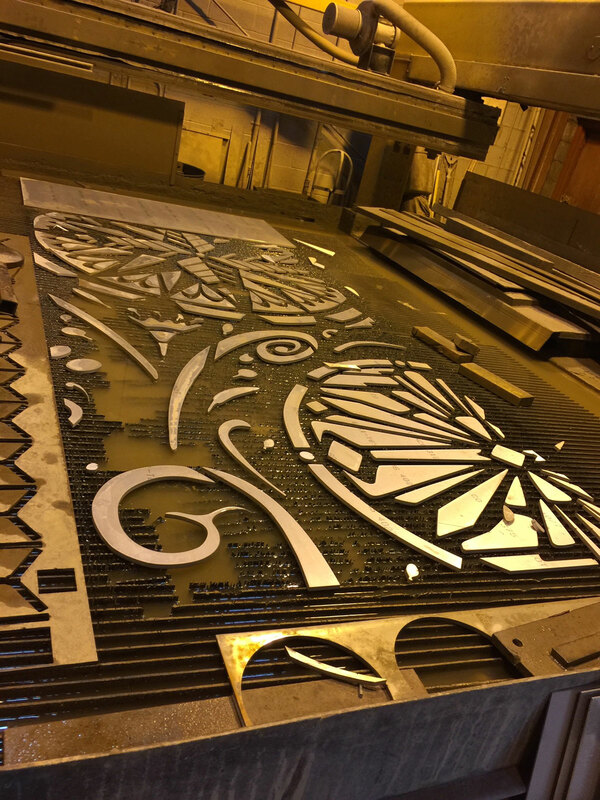 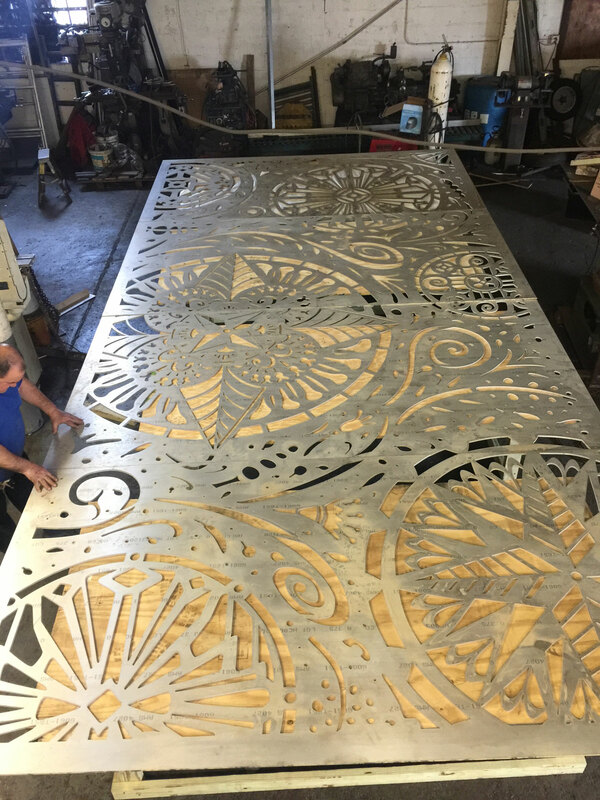 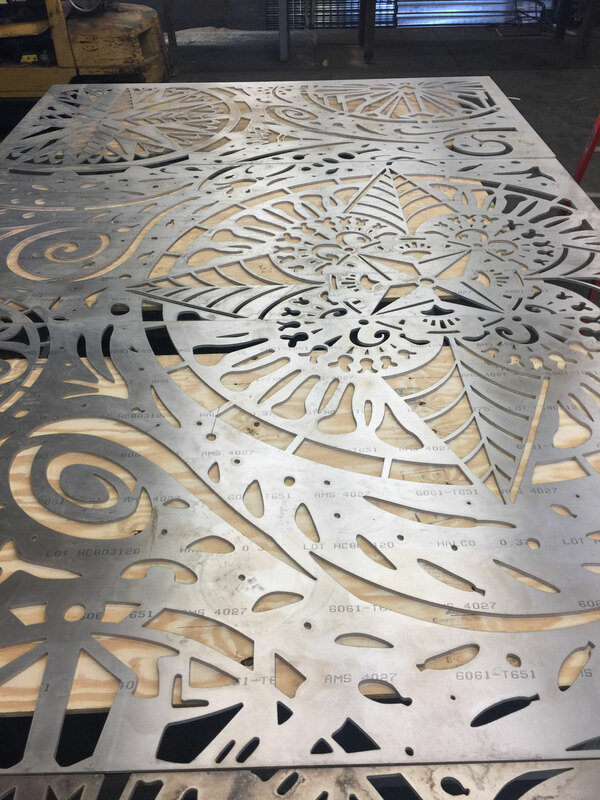 Currently under construction, this 10 x 20' anodized aluminum wall relief will be installed on the newly restored Bell Telephone building in downtown Newark, designed by Ralph Walker in 1929. 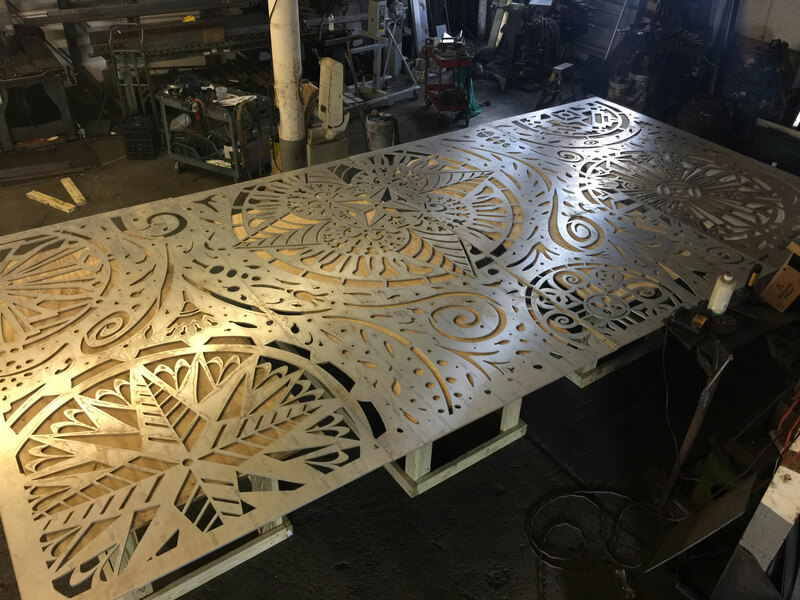 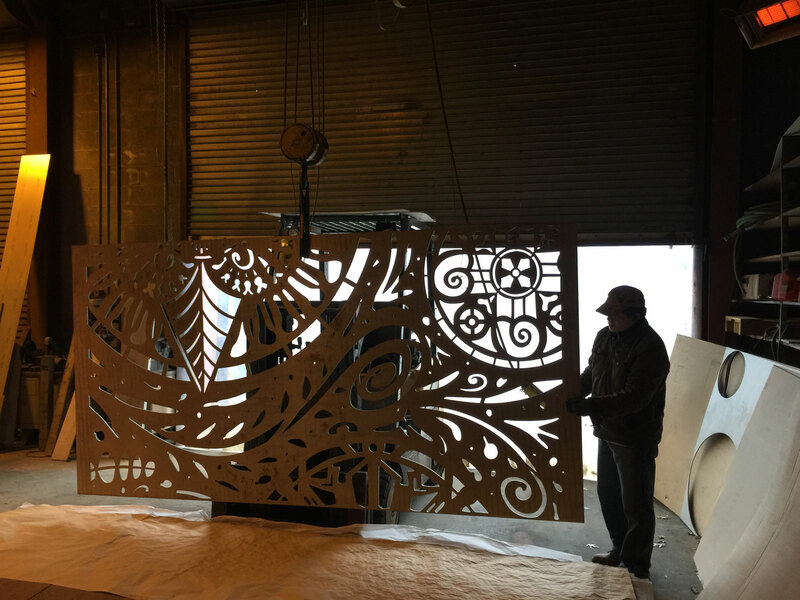 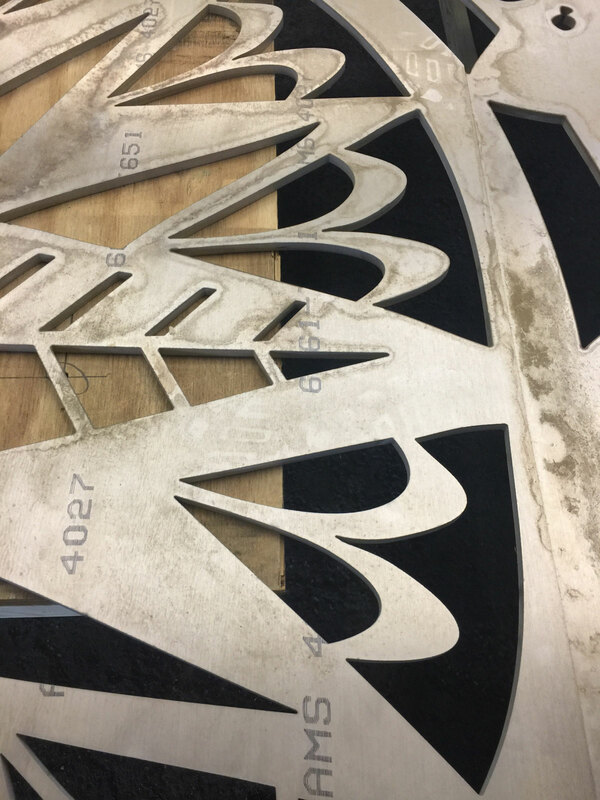 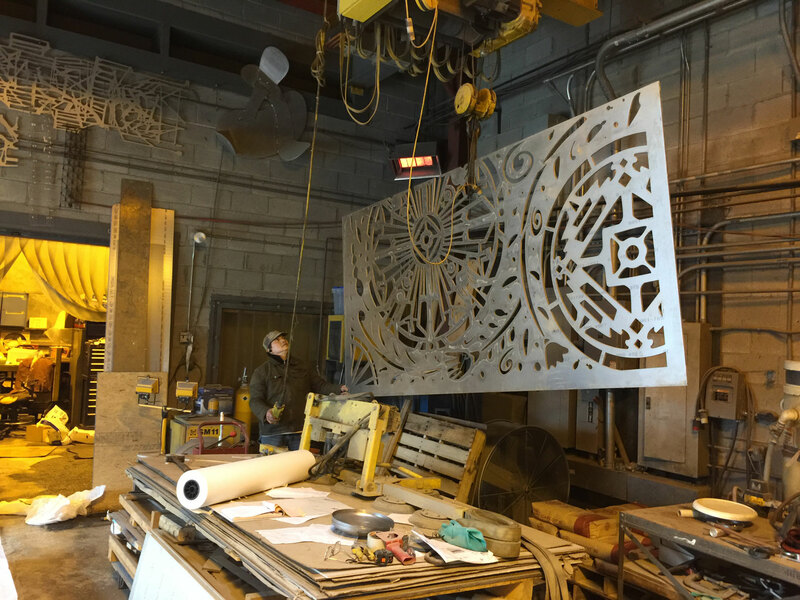 The artwork references decorative elements from this Art Deco landmark, and will be backlit when installed on the limestone facade of the building.